Sudden damage to your home or business can turn your life upside down. At Case Construction & Restoration, Inc., we are here to help in your time of crisis, anywhere in the Greater Grand Rapids, Michigan area. Our fire damage restoration, water damage restoration, storm damage repair, and mold removal and testing services are designed to put your life back together and return things to normal as soon as possible. When your home or business has suffered fire, water, smoke, flood, storm, or mold damage, our restoration experts are here to assess the situation, devise a course of action, and remediate the damage. Time is of the essence. Do not hesistate to call us 7 days a week, 24 hours a day anywhere in the Greater Grand Rapids, Michigan area. Love Your Restoration? Give us a 5 Star Review on Google! Get Fast Storm Damage Repair! Everyone eagerly awaits the arrival of spring and summer for many reasons including vacations, warm sun, and grilling! However, one downside is the increase in severe weather and thunderstorms. The rapid shifts in weather are unpredictable and can cause serious damage to homes. High winds can damage roofs or cause branches and trees to fall on homes. We encourage every homeowner to put safety first and always be prepared to call our storm damage repair experts. Our skilled technicians are dedicated to completing repairs quickly and accurately. Saving homewoners time, money, and reliving stress! The storm damage and home restoration experts at Case Construction are skilled and ready to help when storms cause damage to your home. We're here to serve you anywhere in the Grand Rapids and West Michigan areas with rapid response and experienced service. Better Tools. Better Training. Better Results. That is our motto and our driving principle. With industry leading restoration equipment and cutting edge techniques, be assured that your restoration project is in the hands of professionals. From cleaning to completion, our insurance restoration specialists are here to take action with 24/7 emergency response, repair, and restoration anywhere in the Greater Grand Rapids area. At Case Construction & Restoration, Inc. we understand that a loss is personal, so is our approach. 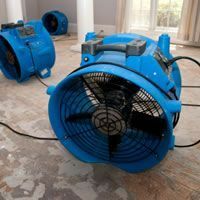 We utilize the latest equipment, technology, and training to dry flooded and water damaged spaces in record time. Only 30 hours or less in most cases. Minimize damage and reduce water damage restoration costs. When fire damage occurs, be assured that you are in the hands of fire restoration professionals who will restore your home or building to its original condition. No matter the severity of the fire damage, we can help. 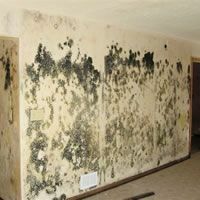 Mold and mildew pose a serious health risk. When mold is found, timing is everything. Our proven and reliable mold remediation process will meticulously remove all mold spores from your home or business. 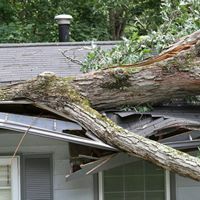 When Mother Nature wreaks havoc, we can respond immedietely to clean up storm debris, remove fallen trees, and protect exposed areas to minimize damage so permanent repairs can begin, right away.